Well, the good news is, we’re over it. A 2010 study declared merlot proud winner of the largest consumer base of any varietal in the U.S. And so we might as well ‘fess up that of all our kosher wines, our Israeli wines, lately we’re really crazy about Segal’s Merlot Special Reserve 2002. In vino veritas, as they say. 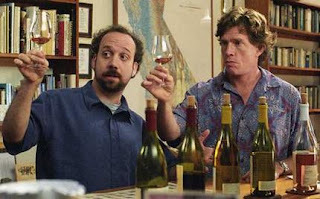 Funny thing is, in the final scene of Sideways, when Miles breaks open the wine of his dreams (chugs it in a plastic cup with a burger, remember? ), it’s a Cheval Blanc, a merlot-inspired Bordeaux. And the lesson here is? Take Hollywood with a grain of salt. Like what you like. If you haven’t already dusted off the merlots of your own kosher wine collection, we’ve got just the thing to bring you back around.